Software Development Best Practices, September 2006. Topic: Requirements Patterns and Anti-Patterns. VS Live Orlando, May 2006. Topics: VSTS for Everyone: Best Practices for the Whole Team (full day workshop); Five Management Essentials: Estimating, Scheduling, Planning, Tracking, and Correcting with VSTS; Requirements Patterns with VSTS. Ann Arbor Day of .NET, Ann Arbor, MI, May 2006. Topics: Tablet PC Programming: Look, Ma! No Keys! ; Ink in 60 Seconds: Tablet PC Programming. Ann Arbor Computer Society, Ann Arbor, MI, May 2006. Topic: Text to Speech in .NET. Montreal Microsoft .NET Architecture User Group, March 2006. Topic: Ink in 60 Seconds: Tablet PC Programming. North Dallas .NET Developers Group, Plano, TX, March 2006. Topic: Patterns in C#. Fort Worth .NET Developers Group, Fort Worth, TX, February 2006. Topic: Patterns in C#. VS Live San Francisco, January 2006. Topics: VSTS for Everyone: Best Practices for the Whole Team (full day workshop, with Richard Hale Shaw); Five Management Essentials: Estimating, Scheduling, Planning, Tracking, and Correcting with VSTS; Requirements Patterns with VSTS. Little Rock .Net Users Group, Little Rock, AR, December 2005. Topic: Aesop’s Fables of Software Development. Chippewa Valley .NET User Group, Eau Claire, WI, December 2005. Topic: .NET is an Elephant, 2005 Edition. Chicago Day of .NET, November 2005: Topic: Requirements Patterns with VSTS; Talking Code: Speech Programming for .NET. Huntsville VS.NET Users Group, Huntsville, AL, November 2005. Topic:Patterns in C#. Wichita Developers .NET, Wichita, KS, November 2005. Topic: Patterns in C#. Michiana Area .NET Users Group, Michigan City, IN, October 2005. Topic: UML Applied in 90 Minutes. Beantown.NET, Boston, MA, November 2005. Topic: Ink, Gestures, Speech, and Mobility (Tablet PC Development). Cincinnati .NET User Group, September 2005. Topic: Tablet PC Programming: Look, Ma! No Keys! Findlay, OH, .NET User Group, September 2005. Topic: Patterns in C#. Software Development Best Practices, September 2005. 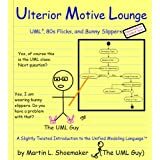 Topic: Modeling User Interfaces in UML. Central Maryland ASP Professionals, September 2005. Topic: Applying Architecture and Design Patterns in VB.NET. Dayton .NET Developers Group, Dayton, OH, September 2005. Topic: Ink, Gestures, Speech, and Mobility (Tablet PC Development). Microsoft Detroit Area Visual Studio Developer Conference, June 2005: Topic: Analysis and Design: Visually Designing Your Application. Lubbock .NET Users Group, June 2005: Topic: Patterns in C#. Chattanooga .NET User Group, May 2005: Topic: UML Applied in 90 Minutes. Huntsville User Group for .NET, Huntsville, AL, November 2004: Topic: Ink, Gestures, Speech, and Mobility (Tablet PC Development). .NET Users of Fort Wayne, IN, September 2004: Topic: Patterns in C#. Software Development Best Practices, September 2004. Topic: A Patterns Taxonomy. VSLive Conference, September 2004. Topics: Bad COM to Good NET; .NET Round Table. Greater Lansing User Group for .NET, Lansing, MI, August 2004: Topic: Patterns in C#. Cleveland .NET Special Interest Group, Cleveland, OH, August 2004: Topic: Refactor Your Way to .NET. Rational Users Conference, July 2004. Topics: UML Applied in 90 Minutes; Microsoft Visual Studio.NET + Rational XDE = More Power! Falcon.NET User Group, Bowling Green, OH, April 2004: Topic: Ink, Gestures, Speech, and Mobility (Tablet PC Development). Software Development Conference West, March 2004. Topics: Patterns in C# and VB.NET; Refactor Your Way to .NET; Ink, Gestures, Speech, and Mobility (Tablet PC Programming for .NET); Building a Shape Grammar for .NET Tablet PC Applications; Build a Complete and Functional .NET Application – Step-by-Step (a two day tutorial withJosh Holmes). Women in Science Conference at Bowling Green State University, February 2004: Topic: Meet the Robots, An Introduction to Computer Programming. Ink, Gestures, Speech, and Mobility (Including Tablet PC Programming for .NET); Tablet PC Programming: Look, Ma! No Keys! Southeast Michigan Rational User Group, January 2004: Topic: UML Applied in 90 Minutes. Chicago .NET User Group, October 2003: Topic: Ink, Gestures, Speech, and Mobility (Tablet PC Development); Patterns inC#. Great Lakes Area .NET User Group, October 2003: Topic: Patterns in C#. Women in Science Conference at Bowling Green State University, November 2003: Topic: Meet the Robots, An Introduction to Computer Programming. Software Development Best Practices, September 2003. Topics: Refactor Your Way to .NET: Porting C++ andMFC Applications; Power Programming Practices for C#; Diagrams that Work; Requirements Patterns and Anti-Patterns. International Technology Managers Association (West Michigan chapter), September 2003. Topic: Real Life Perspective on Web Services. Rational Users Conference, August 2003. Topics: .NET is an Elephant. Ann Arbor Computer Society, August 2003. Topic: UML Applied in 90 Minutes. Tulsa .NET User Group, August 2003: Topic: Patterns inC#. Great Lakes Area .NET User Group, July 2003: Topic: Tablet PC Programming: Look, Ma! No Keys! West Michigan .NET User Group, July 2003: Topic: UML Applied in 90 Minutes. Omaha .NET User Group, July 2003: Topics: Patterns in C#; .NET Attributes. Oklahoma City .NET User Group, July 2003: Topic: Ink, Gestures, Speech, and Mobility (Tablet PC Development). Windows Server 2003 Launch (Detroit area), April 2003: Topic: Delivering the Platform for the Service-Oriented Architecture. Software Development Conference West, March 2003. Topics: Model-Driven Design and Development for .NET; Power Programming Practices for C#. Women in Science Conference at Bowling Green State University, February 2003: Topic: Meet the Robots, An Introduction to Computer Programming. Great Lakes Area .NET User Group, December 2002: Refactor Your Way to .NET (Porting VB6 Applications). Software Development Conference East, November 2002. Topic: Model-Driven Design and Development for .NET; Agile Development Considered Harmful (AntiPatterns for Agile Development); .NET is an Elephant; Refactor Your Way to .NET: Porting C++ andMFC Applications. VSLive Conference, September 2002. Topic: Analyzing, Architecting, and Modeling N-Tiered C# Applications. Rational Users Conference, August 2002. Topics: .NET is an Elephant; Function Point Estimating with Rational Rose and XDE. Web Services Edge Conference, June 2002. Topic: .NET is an Elephant. Software Development Conference West, April 2002. Topics: Applied Design Patterns in .NET (withChristian Gross); .NET is an Elephant; Actor-Driven Requirements Modeling; So You Want to Write a .NET Language. Rubi-Con Security Conference, April 2002. Topics: The .NET Security Classes; .NET is an Elephant. Ann Arbor IT Zone, December 2001. Panel topic: World Class Software Development. VSLive Conference, January 2001. Topics: UML for Real Programmers with Real Deadlines;ADO Best Practices. Ann Arbor Computer Society, October 2001. Topic: .NET is an Elephant. Ann Arbor Computer Society, July 2000. Topic: The Unified Software Development Process. Ann Arbor Computer Society, May 1999. Topic: UML for Everyone. Ann Arbor Computer Society, May 1996. Topic: Microsoft Certification. Ann Arbor Computer Society, September 1995. Topic: the Microsoft Network. Detroit Colour Council quarterly meeting, February 1993. Topic: video based color measurement. SIMMS 90 instrumentation conference, July 1990. Topic: statistical discrete color measurement.